Mahindra & Mahindra registers sales of 55,924 units in the fiscal 2008-2009 of its leading sports utility vehicle Bolero. This marks a significant milestone in the history of Mahindra as Bolero is the first car in the SUV segment that have crossed a mark of 50,000 units and that also for two consecutive years. Vivek Nayer, Sr. Vice President of Auto Sector in Mahindra said, "Bolero is among the top-selling brands in the passenger vehicle segment, excluding small cars. This clearly points to the immense popularity enjoyed by this evergreen brand." He also added, "The Bolero's superior value-proposition of style and rugged appeal coupled with our customer-centric approach to business has been major contributors to its success over the years." 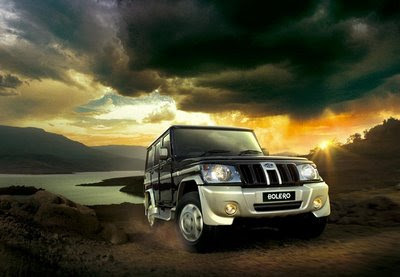 Mahindra Bolero is an intelligently designed SUV with a perfect combination of looks, power, and performance. Such high sales of the Bolero during this time of downturn give a perfect reason for the car manufacturer to rejoice.